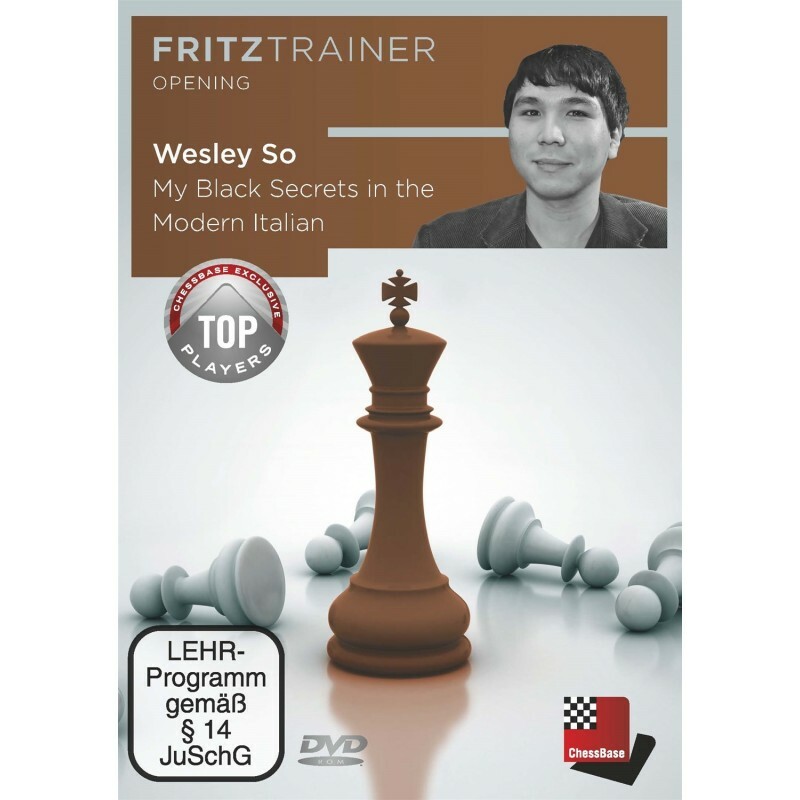 In a total of nine video clips, top ten player Wesley So talks to IM Oliver Reeh, explaining his personal preferences as Black in the Italian game. The videos are structured according to specific concepts and ideas. Should Black play ...a6 to allow the retreat ...Ba7 or rather ...a5? What’s the best way to meet White’s plan with Bg5, be it with or without short castling? When is it possible to unleash the early raid ...Ng4 followed by ...f5? What are benefits of the knight manoeuvre Nc6-e7-g6 combined with Nf6-h5? Can one do without ...d6 and play ...d5 rightaway to sharpen up the game immediately? These and many more features the grandmaster explains for Black, providing his White perspective too - as a top gun, So of course employs the Italian with both colours! 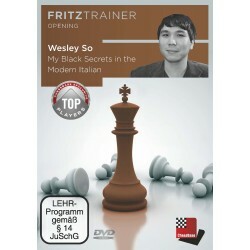 By the way, directly after these recordings were made Wesley So played the London Chess Classic 2017 where he defeated ex-world champion Vishy Anand as black, employing the topical ...a5 (instead of ...a6) which of course is also treated on this DVD. Plans, tricks and subtleties in the Italian Game, well-structured and conceptual, explained by a world-class grandmaster — this DVD can take you towards the very top! Minimum: Dual Core, 2 GB RAM, Windows 7 or 8.1, DirectX11, graphics card with 256 MB RAM, DVD-ROM drive, Windows Media Player 9, ChessBase 14/Fritz 16 or included Reader and internet access for program activation. Recommended: PC Intel i5 (Quadcore), 4 GB RAM, Windows 10, DirectX11, graphics card with 512 MB RAM or more, 100% DirectX10-compatible sound card, Windows Media Player 11, DVD-ROM drive and internet access for program activation.